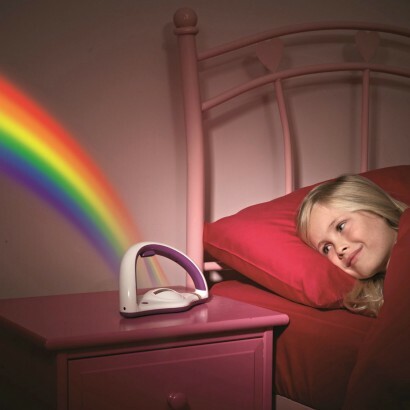 A stunning night light for kids inspired by one of natures most beautiful phenomenon, My Very Own Rainbow projects a colourful rainbow into your child's room. 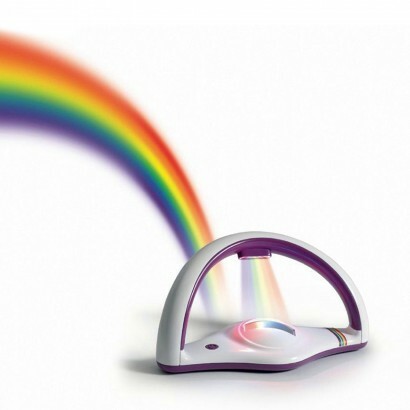 Colourful LED's shine through a light projector to cast rainbows onto walls and ceilings in a darkened room to make an enchanting night light that will soothe children at night. With two illumination modes; instant or fade, mesmerise your child at they drop off to sleep. 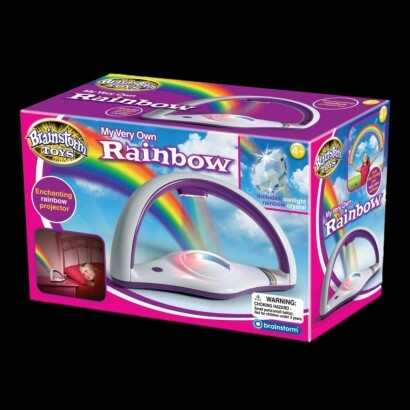 Each My Very Own Rainbow pack also comes with a sunlight crystal to place in your child's window so that they can create real rainbows that project into their room when crystal catches the light.